This finding is thought is often used to tell if a patient with an aPE has right heart strain due to massive or submassive PE. The McConnell sign was first mentioned in 1996 and that article reported that the sign had 94% specificity for aPE 1. As should be the case with anything in medicine, there have subsequently been multiple studies that attempted to reproduce the findings of the original study. The subsequent studies were a bit of a mixed bag. Some studies seems to show a pretty low specificity and others seems to show a high specificity. López-candales A, Edelman K. Right ventricular outflow tract systolic excursion: a distinguishing echocardiographic finding in acute pulmonary embolism. Echocardiography. 2013;30(6):649-57. Retrospective, 60 pts. 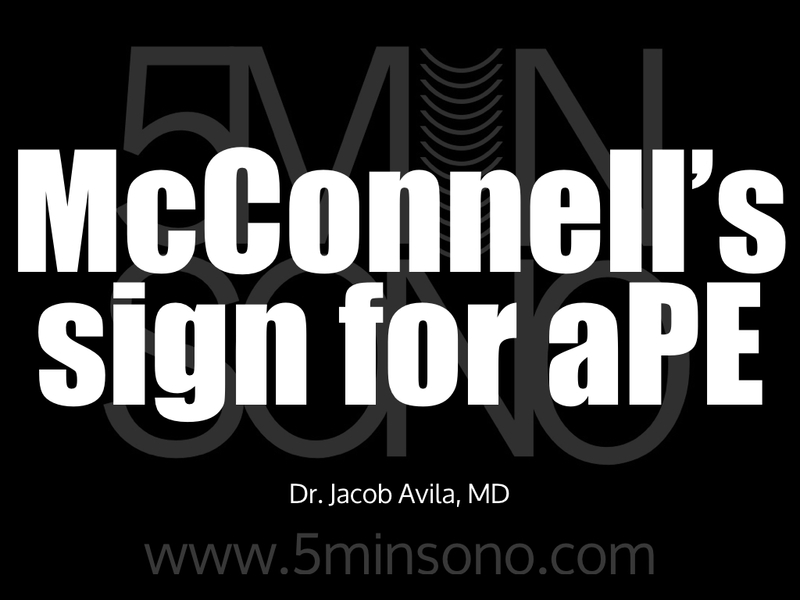 As you can see, probably the best way to use McConnell’s sign is to look for it when you have a patient with known aPE or in patients in whom you have a high suspicion of aPE. 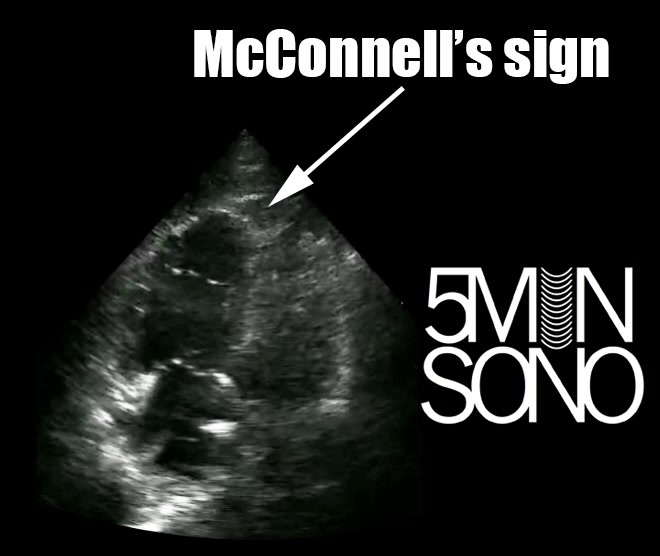 If you look at everybody who has an echo, McConnell’s sign isn’t that useful (since chronic pulmonary HTN and RV MI’s can also have it). Check out this podcast where Mike Mallin, Ben Smith and I talk about it more in depth. Mcconnell MV, Solomon SD, Rayan ME, Come PC, Goldhaber SZ, Lee RT. Regional right ventricular dysfunction detected by echocardiography in acute pulmonary embolism. Am J Cardiol. 1996;78(4):469-73. 2 Responses to Is McConnell’s Sign Useful for aPE?